Mar 25, 2015 — In launching the #RepealTheSeal campaign and starting this petition, we have remained committed to creating a professional and respectful platform for RDNs to express their concerns about this issue to the Academy. This public step was taken only after multiple formal channels were followed during our respective careers on similar issues to little response. We decided to speak out publicly because we believe credibility is everything. We also believe that our organization is stronger when we take action to make it better. Our intention has always been to be a spark for change and to fight for the principles of our organization and our profession. In March 24th’s Wall Street Journal article — http://www.wsj.com/articles/eat-right-meltdown-for-kraft-singles-1427152818 — the Academy stated that it “is working toward changing any perceptions of endorsement.” To our ears, this means the Academy is keeping their decision intact and continuing to explain the rationale, rather than taking meaningful steps to keep the Kids Eat Right (KER) logo off product packaging, as was requested in our #RepealTheSeal petition. We are deeply grateful to all of our colleagues and fellow RDNs who have added the power of their voice, both publicly and privately, to express disagreement over the Academy’s decision to allow the KER logo on food packaging. To date, the Academy has not responded with the actions requested in our original petition. A resolution on this issue may only come if your pressure remains strong. Email your State and DPG Leadership and ask that these petition requests be addressed by the Academy now, and not pushed back to future meetings. Thank you to all of you who supported this petition. The following is a listing of posts by bloggers who are supporting the repeal of the KER logo on food packaging. Please visit their sites for more thoughtful commentary on this issue. Vicki Shanta Retelny, RDN @ Simple Cravings. Real Food. 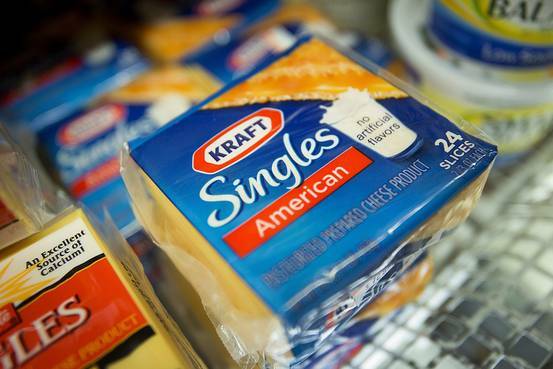 The Academy of Nutrition and Dietetics, one of the world's largest groups of health professionals, is locked in talks with Kraft Foods Group Inc. to determine how to proceed with a controversial campaign to put the academy's "Kids Eat Right" logo on packages of Kraft Singles. This petition made change with 11,914 supporters!